This guide was compiled to enhance the awareness of CUPS for a large cross section of personnel within the oil and gas industry. It focuses on corrosion, which is the main integrity threat at pipe supports; other deterioration mechanisms are also included, such as fretting, fatigue and stress corrosion cracking (SCC). implement an effective and safe remediation strategy for piping affected by CUPS, including on-line versus off-line remediation. 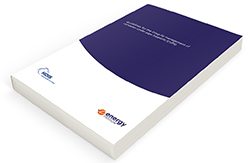 This publication was produced following consultation with a number of UK offshore and onshore operators and specialist contractors who have a role in the integrity management of piping, including the prevention and management of CUPS. The guidelines may have wider application in other industries, including those worldwide. They are intended for use by personnel with responsibility for the integrity of production facilities, but are also aimed at personnel involved in the design and construction of piping on new installations and repair and remediation/fabric maintenance of piping on existing facilities. When developing a complete piping integrity management strategy, it is important that other deterioration threats are considered such as internal deterioration mechanisms due to the process fluid, and system-wide stress (thermal expansion/contraction, fluid hammer, vibration etc). Further guidance can be found in EI Guidance for corrosion management in oil and gas production and processing.